Sheila Laroque is Métis, and originally from Saskatoon, Saskatchewan. She has a B.A. from the University of Saskatchewan, and an M.I. from the University of Toronto’s iSchool. Sheila has worked in a variety of libraries since 2013, including public, academic and special libraries. 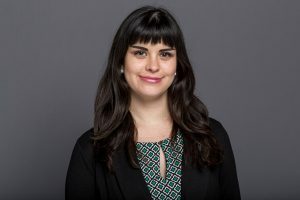 She is passionate about making libraries more accessible and relevant for Indigenous people and communities, and centering relationship building within these processes. She is currently working as an Academic Librarian Resident on the University of Alberta’s Decolonizing Description project.